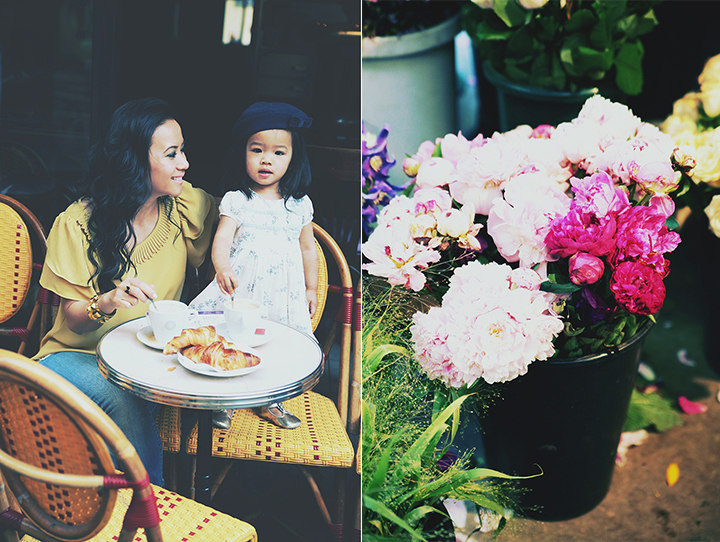 Some of the most memorable moments in Paris has to be our early morning visits to the cafes. It’s intriguing how all the chairs are placed facing the streets. 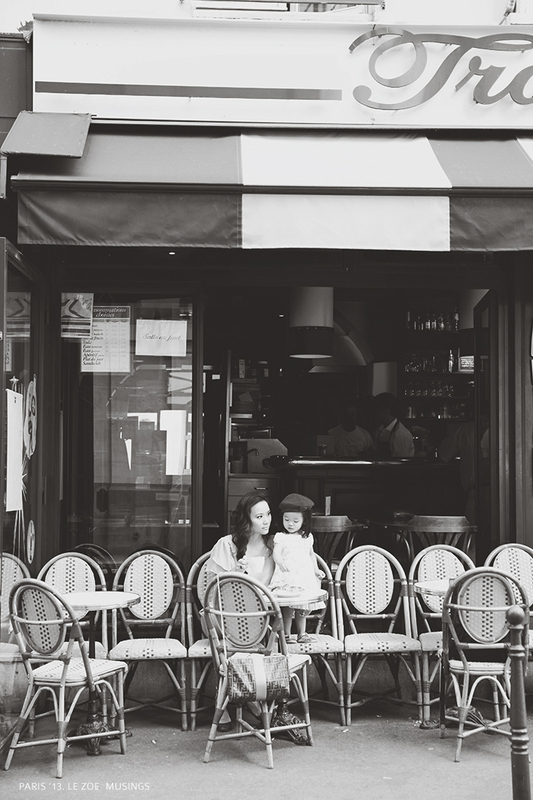 Observing the scene and gazing at people briskly passing by is such a stylish thing to do. 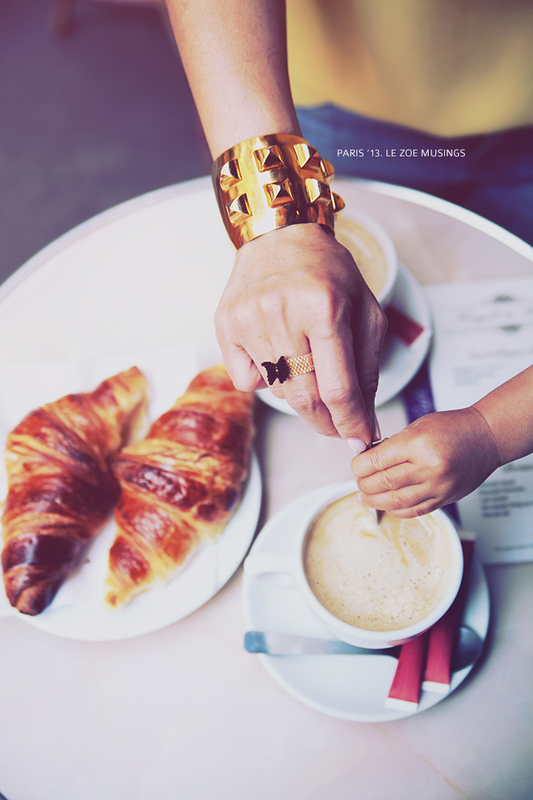 For about 10 euros, you can start your morning in the most heavenly way- inhaling the fresh air, sipping lattes, indulging in the flakiest buttery croissants, and taking mental notes of why their women are so Parisian chic! We all need moments like these where we just stop the hustle. Sit still. Actually enjoy what we’re putting into bodies (I often eat lunch at my desk at work). And make room for some down time. 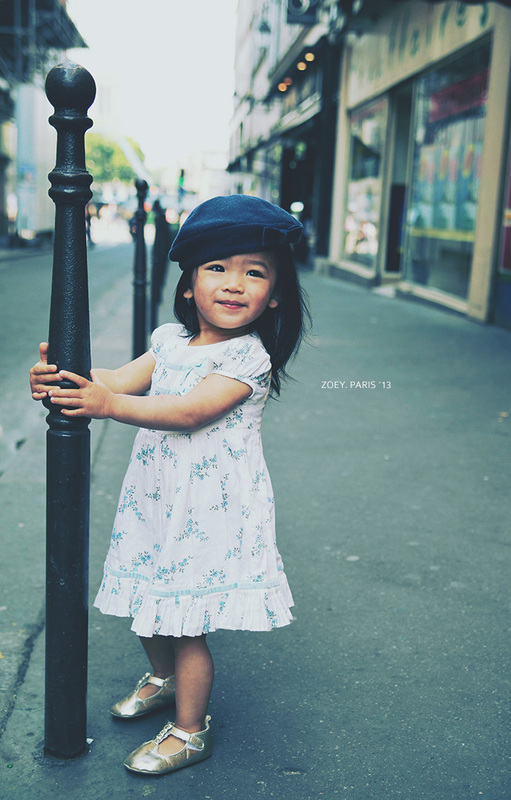 Your daughter is beautiful ! I am glad you enjoyed Paris! I love the stories your photos tell. You inspire me. These are lovely photos! What kind of camera do you use? Indeed! These moments fly by so fast. The space of a breath. Zoey looks so beautiful! Precious. Such pretty pictures! Some moments just need to be frozen in time.